Calmness, serenity, contentment. 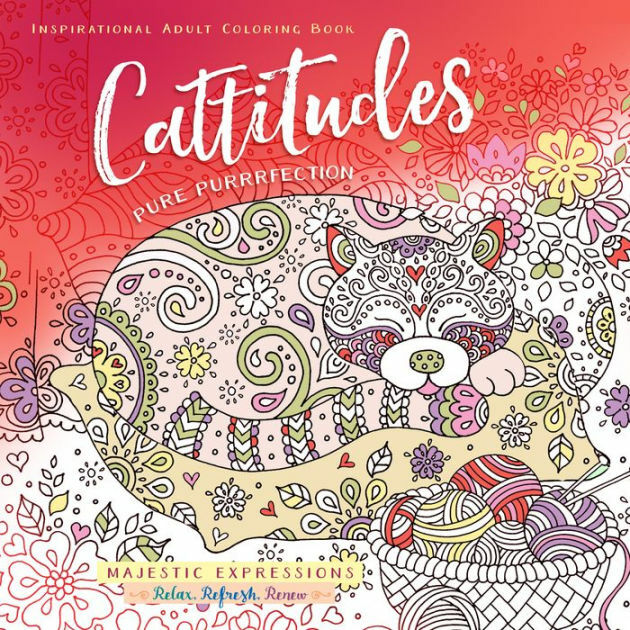 C-attributes we could learn from cats and can be found in this purrfect colouring book. Research shows that colouring can be an effective stress reducer, but true rest and peace are found in God. 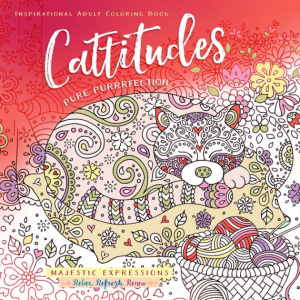 "Cattitudes: Pure Purrrfection" features artwork depicting the intelligence, adaptability, curiosity, beauty, grace, strength, and agility of cats. Feline friends inspire us to explore the world around us with fresh perspective. Spend some quiet time relaxing as you colour. Be refreshed and renewed as you meditate on the magnificence of God s creation and the truth of His Word. Watch each page come alive as you fill the intricate images with the beauty of colour. Take a break from your busy schedule and the stress that accompanies it. The worries of life can wait. Cattitudes Adult Colouring Book by Broadstreet Publishing was published by Broadstreet in September 2016 and is our 11645th best seller. The ISBN for Cattitudes Adult Colouring Book is 9781424553051. Be the first to review Cattitudes Adult Colouring Book! Got a question? No problem! Just click here to ask us about Cattitudes Adult Colouring Book.